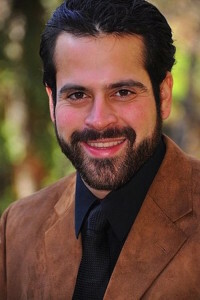 Kenny Santiago Marrero is a Latino actor. Born in Bronx, NY. Playing different characters throughout college he ranged from heroic to the most evil. The energy he delivered on stage always captivated the audience enough to win a scholarship to the San Francisco Academy Of Arts. Before his pursuit in acting Kenny worked in retail, food service, drove a semi truck and worked in construction. This moved him to pursue a college education with a college years, he majored in communications and minored in Art. While a student worker in the theater department at Lorain County Community College under the leadership of Dr Carolyn Cahill and Diana Baker. Currently he travels throughout the country in pursuit of productions that he can contribute his talents. He is known for many films such as: First, Do No Harm, Chicago PD, The Pursuit of Happiness, Kite Runner,The Demon’s Odyssey and many more.